It feels good to finally check something off of my "to do list" which I refer to from time to time on my blog. 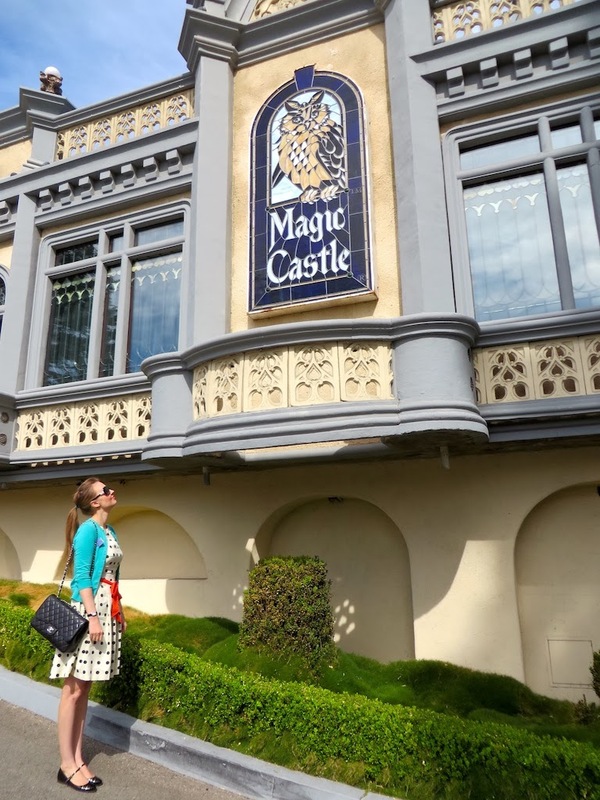 Yesterday my visit to the Magic Castle made for one less thing that I am yearning to do here in Los Angeles. 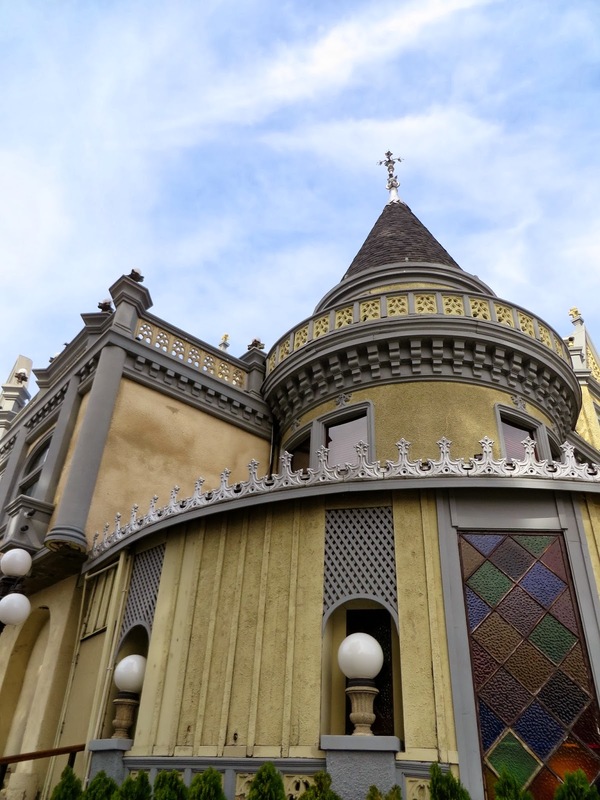 No, this isn't the Magic Castle of Disneyland; it is way cooler and way more exclusive. 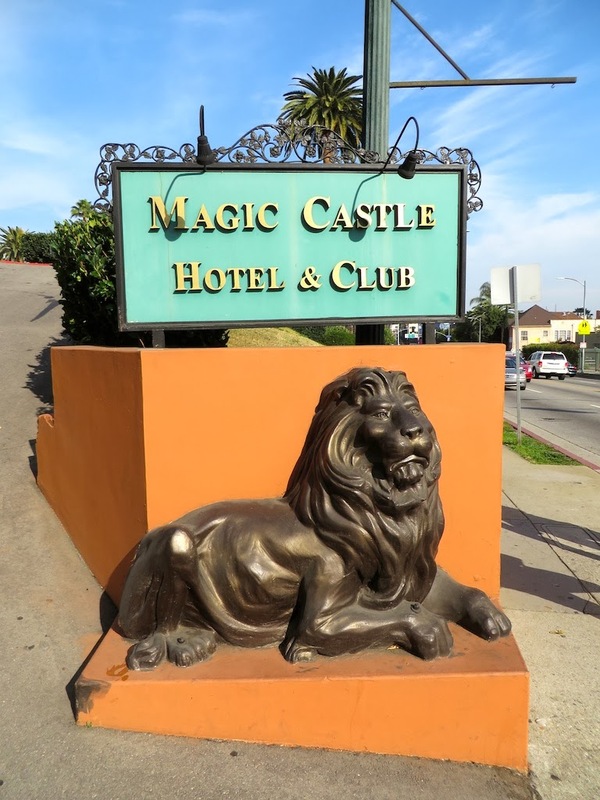 The Magic Castle is a members only magic club located near downtown Hollywood. The building that is now the Magic Castle was originally built in 1909 as a private residence of a banker and real estate developer. This was at a time when Hollywood consisted mostly of citrus groves. 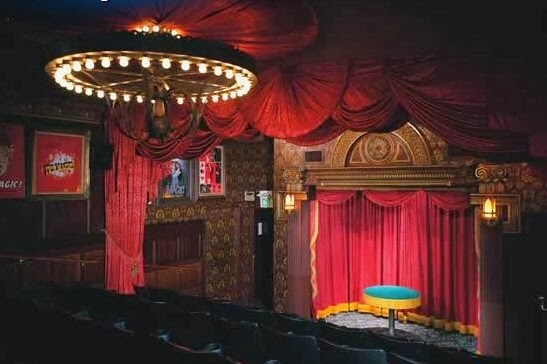 Decades later in 1962 the house was turned into its current incarnation, a magic club, nightclub, hotel, and the home of the Academy of Magic Arts. Even though it's mainly for professional magicians, many mainstream celebrities such as Cary Grant, Jimmy Carson, Neil Patrick Harris (the club's current president), and my personal favorite, Steve Martin have preformed there. I was hoping I might run into Mr. Martin today, but I had no such luck! Nothing has me under it spell quite as much as the pattern of polka dots. Therefore I thought this Eva Franco polka dot dress was just the thing to wear. Plus, this was a brunch and afternoon show at the club, which I thought worked well with this particular "dotty" outfit. I usually don't feature the fashion of my husband, but he did look particularly dapper yesterday, sporting a Brooks Brothers French blue shirt and a Ralph Lauren blazer and paisley pocket square. 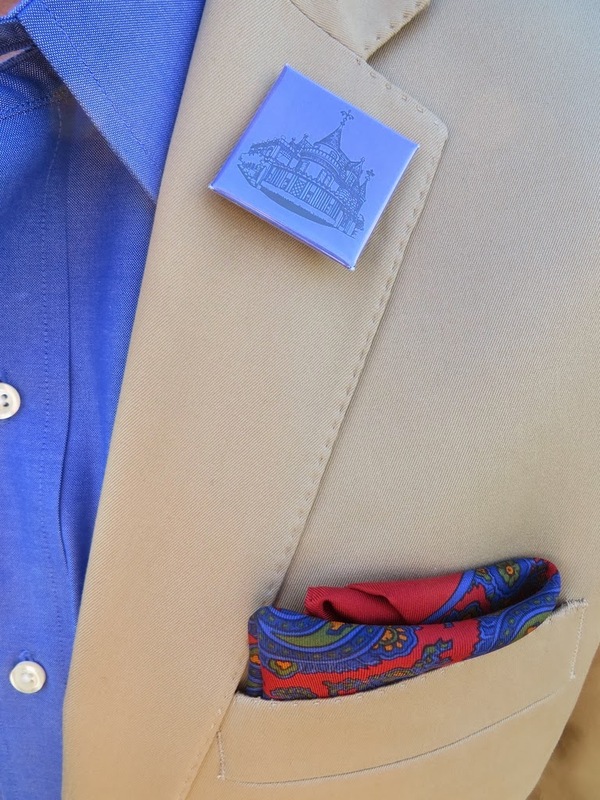 Unknown to us, the pin that identified us as guests of the Magic Castle matched his ensemble perfectly! I felt like he really should have whipped his pocket square out and turned it into a bunny or dove, just like the magicians did during the shows we enjoyed! Here are some other random pictures of the outside of the Magic Castle. The dated stucco-clad facade doesn't do justice to the interior and mystery inside. Admittedly, the best part is actually the interior, but no pictures are allowed inside. I guess they really are very secretive! 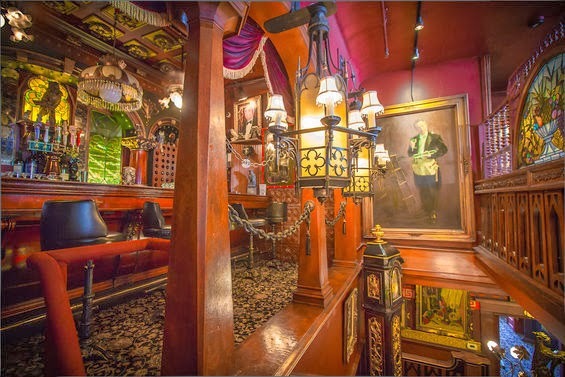 I did, however, manage to find some pictures online that show parts of the inside of the Magic Castle. The interior is really cool with numerous wood-panelled rooms with stained glass windows where various magicians perform assorted prestidigitations, lots of owl clad bars (the owl is the club's mascot), and dark stairways leading to different sections of the castle. There is also a really neat seance room that is dedicated exclusively to Houdini with many artifacts from his career on display. Apparently they regularly perform seances in this room, which is rather creepy. I love your outfit here, and this seems like so much fun! Hello, fab outfit! You are knocking your ensembles out of the park lately!